It's a Mardi Gras party at The Mill - Bring your dancing shoes, and stay for some great food and drink. Red beans and rice will be on the menu! 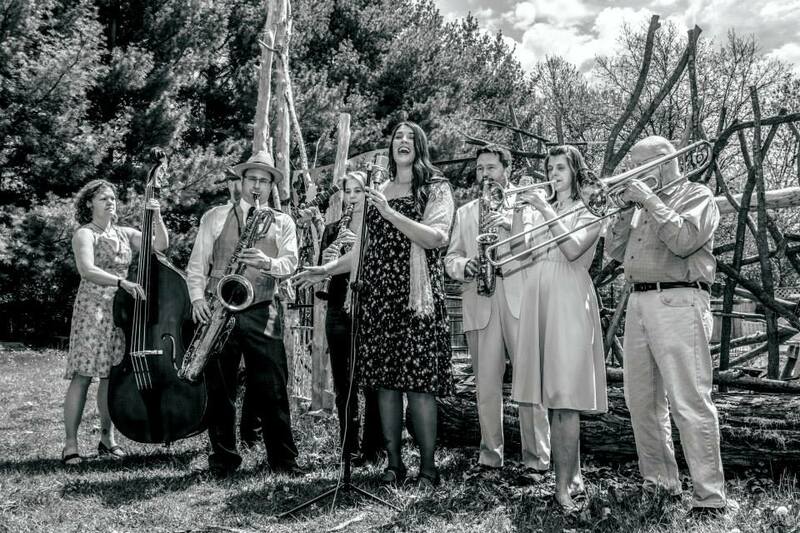 The Dandelion Stompers bring you New Orleans jazz with all the trimmings. Start with a grade-A rhythm section, add a savory selection of horns, round out the mixture with hot and spicy vocals and you’ve got a recipe for Dandelion gumbo! Lineup: Chris Clark-bar sax; Tim Crumley-trumpet; Ira Greenstein-tpt; Brandi Janssen-bass; Marc Janssen-gtr; Katie Roche-voc; Suzanne Smith-cl; Devin van Holsteijn-alto sax.